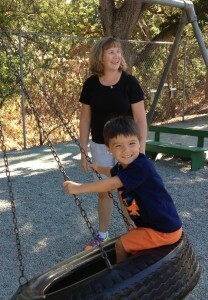 Marlene is an experienced parent, teacher and administrator. She has a BA in Social Studies and an MA in education and curriculum development. She has over 23 years experience in preschool and public school education. 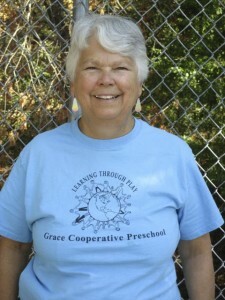 Marlene has been the teacher/director of Grace Cooperative Preschool for over 20 years. Meg is a past parent of Grace and when her two daughters graduated we just couldn’t let her go. Meg has a background in nursing and studied early childhood education. 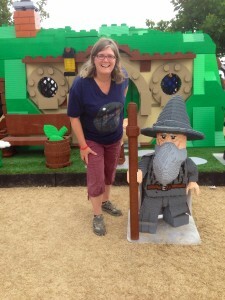 She works as a nurse in the community, and enjoys being with both the young and the old. 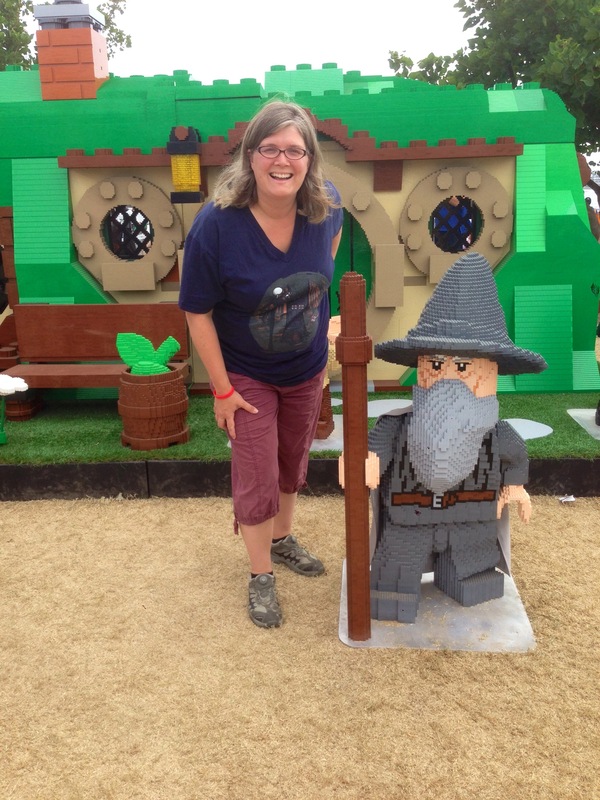 Sarah has been working with young children for 15 years, spending much of her time with two year olds. She has a Masters in Early Childhood Education. Sarah also has two small children of her own, one of whom currently attends Grace. Her favorite Grace event is Family Camp. 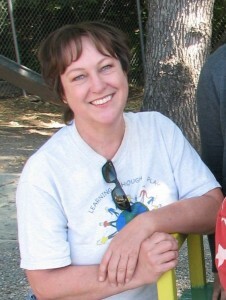 Joy has 20 years of experience working with young children and their families. In addition to being a mother of young children- both Grace alumni, Joy has a BA in Humanities with a concentration in Early Childhood Education and holds a Master Teacher Child Development permit. Joy enjoys reading, volunteering more than she should and recently learned to sew. Lavenia is a past grandparent of Grace and the adopted grandparent to all the Grace children. Lavenia is extremely musically talented and teaches piano lessons privately. She provides piano accompaniment to music time on Wednesdays and Thursdays and directs small groups of children on Fridays for “Rhythm Band” which introduces children to new instruments, rhythms, and scales. Charie is a volunteer in our MWF class. She guides the children through cooking activities and special projects, and the class looks forward to the days where she brings her guitar for Circle Time. Charie was our original Director at Grace, and has a long history with the preschool.